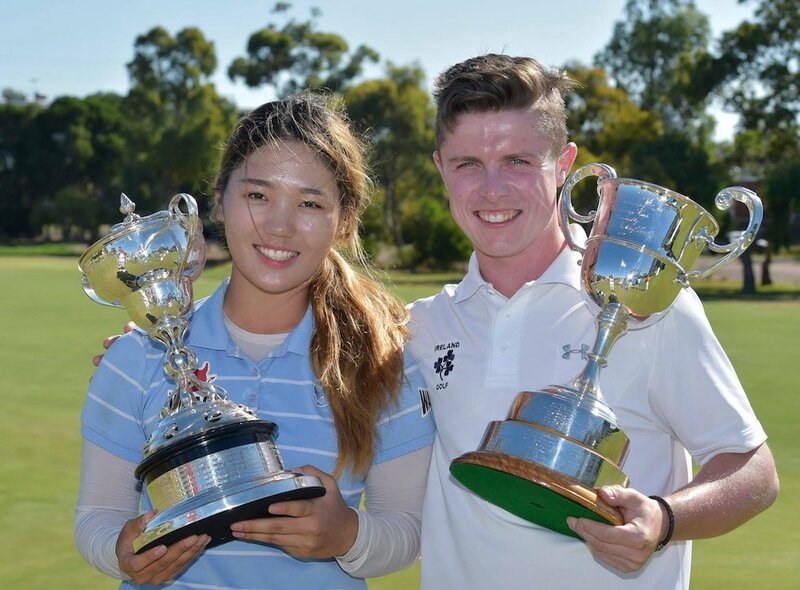 Media Release: Two exemplary champions have been crowned after a brilliant week of golf at the Australian Amateur Championships in Melbourne. After qualifying rounds at the beautifully prepared Spring Valley and Woodlands, the match play phase generated great interest at the latter club throughout four intense days. Korean Yaeeun Hong chipped in for birdie on the 34th hole of a quality final against Japan’s Tsubasa Kajitani to land the women’s title in, remarkably, her first international tournament. The men’s final was even more dramatic with Conor Purcell becoming the first Irishman in the tournament’s 125-year history to salute after an epic clash with Sydney’s Nathan Barbieri finished on the 37th hole after a pulsating final few holes. Both winners won exemptions into the upcoming ISPS Handa Vic Open at Barwon Heads, with Hong also claiming a spot in the ISPS Handa Women’s Australian Open in Adelaide. Purcell also won a berth in December’s Australian Open in Sydney. Unexpectedly, and in a very generous gesture from the host club, both Hong and Purcell were granted honorary membership of the famous Victorian club.